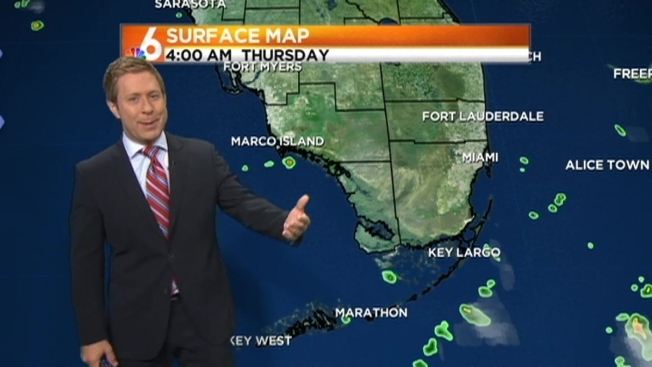 A mostly clear morning will be followed by afternoon showers and storms Thursday in South Florida. The storms will begin to arrive around lunch time but will end by early evening. Highs will be in the low 90s. Storm chances will continue Friday and will last into the weekend.